I eliminate seriously defective beads before shipping. 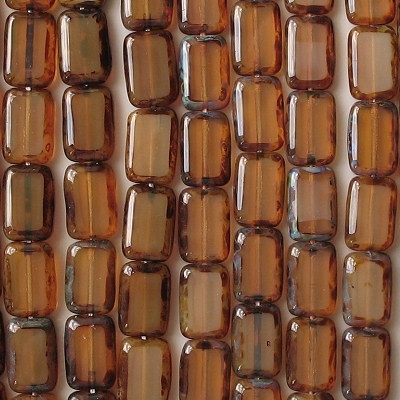 I can't eliminate every bead which has a slight defect, so I use my judgement as to which defects are so serious that the bead can't be used. Certainly, cracks, scratches, large pits, partially polished sides, large spots of picasso coating on the sides, and malformations are all enough for me to eliminate a bead. But I may not eliminate a bead if it has very shallow scratches (so shallow that they're hard to see), small pits, or very small spots of picasso coating on the sides, or other small anomalies that don't ruin the overall appearance. 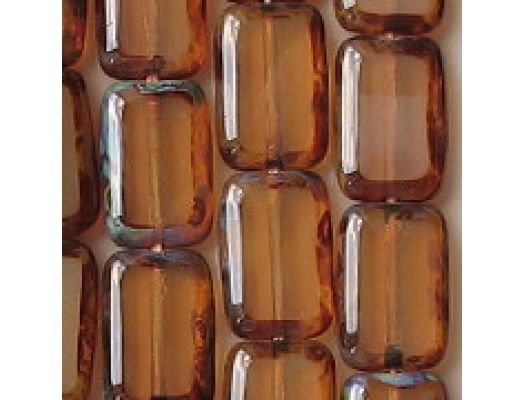 Translucent beads which have gotten picasso coating in the holes, so that the holes are dark, are not eliminated. If you receive any beads with serious defects, that means that I overlooked them, and you should contact me for a pro-rated refund. 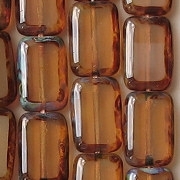 I have noticed that the beads appear more milky in artificial light. The way you see them in the picture is the way they look in daylight. Actually, the brown color may not be quite as rich as the picture makes them look.